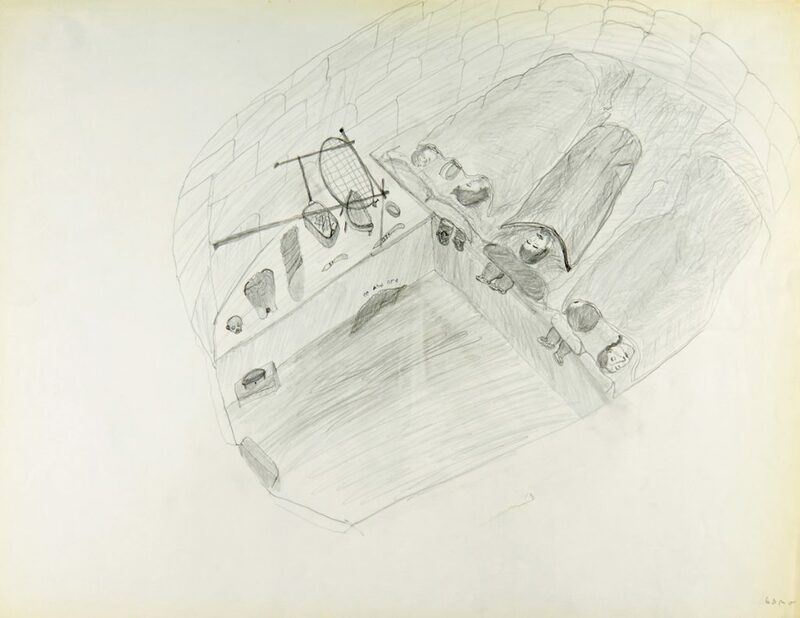 Picturing Arctic Modernity – North Baffin Drawings From 1964, a new exhibition at the Canadian Museum of History, offers vivid insight into Inuit identity and culture, through an eloquent series of drawings that examine daily life during a period of tremendous social change. Picturing Arctic Modernity features 50 graphite-on-paper drawings from the Museum’s Terrence Peter Ryan Baffin Island Drawing Collection. The collection is comprised of 1,842 works created during the first three months of 1964 by 159 Inuit living in the North Qikqtaaluk (Baffin Island) communities of Kanngiqtugaapik (Clyde River), Mittimatalik (Pond Inlet), Ikpiarjuk (Arctic Bay), Igloolik, and nearby outlying encampments. The drawing project was initiated by Terry Ryan, then the resident arts advisor at the Kinngait (Cape Dorset) art studio near the southern end of Qikqtaaluk. Ryan provided drawing materials and encouraged the Inuit men, women and youth to record their experiences on paper. The result is an outstanding documentary and artistic record, encompassing a wealth of Inuit traditional knowledge. 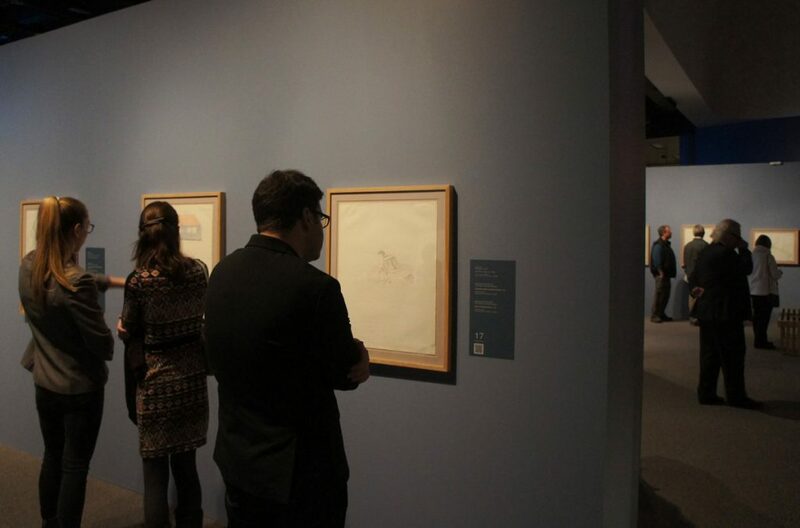 The drawings offer a reflection on Inuit life in the 1960s — a period of profound change for Inuit in the eastern Arctic, as they were moved off the land and into permanent settlements. In their work, the artists address a wide range of subjects, while presenting individual perspectives on Inuit life. Many of the drawings are overlaid with Inuktitut writing, ranging from straightforward descriptions of the content to highly detailed passages. The Museum acquired this unique collection from Terry Ryan in 2014. Picturing Arctic Modernity offers multiple perspectives and narratives related to Inuit culture and identity. The selected drawings are organized into three themes: Conveying Identities, On the Land, and Our Stories. The exhibition offers visitors several levels of interpretation to engage with these visually rich drawings — including an in-gallery guide with translations of the Inuktitut writing, and video clips of the artists and community members sharing the importance of these works today. The design is inspired by a northern aesthetic. The intro wall, for example, is illuminated with points of light — recalling a northern community seen from afar, beckoning one to enter the space. The gallery walls have been painted to evoke various shades of snow. 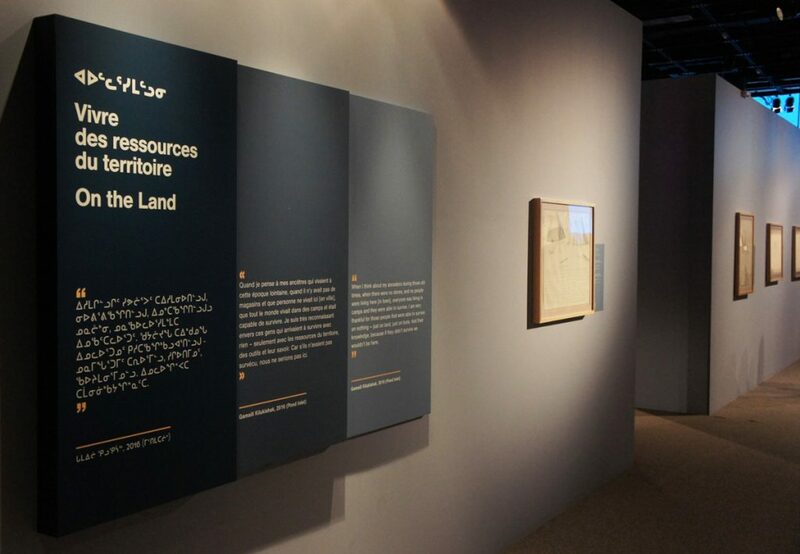 The entire exhibition is presented in Inuktitut, French and English. This travelling exhibition was developed by the Agnes Etherington Art Centre and the Canadian Museum of History, with the assistance of the Pond Inlet Archives, Ilisaqsivik, Ittaq and Piqqusilirivvik, and funded in part by the Museums Assistance Program of the Government of Canada. It was curated by Dr. Norman Vorano, Queen’s National Scholar, Curator of Indigenous Art at the Agnes Etherington Art Centre, and former Curator of Contemporary Inuit Art at the Canadian Museum of History. It involved the contributions of many interpreters, translators, film crews and editors from the north, as well as a large team of production services, researchers and museum professionals in the south. The entire exhibition (text, videos, website and in-gallery booklet) is presented in Inuktitut, French and English. The exhibition Picturing Arctic Modernity at the Canadian Museum of History.The exhibition was first presented at the Agnes Etherington Centre at Queen’s University in Kingston, Ontario, from January to April 2017. A portion of it was displayed at the Nunatta Sunakkutaangit Museum in Iqaluit between August and October, 2017. The exhibition will be presented at the Canadian Museum of History from February 16 to September 3, 2018. It will then travel to the Burnaby Art Gallery in British Columbia from November 17, 2018 to January 13, 2019, and the Woodstock Art Gallery in Ontario from February 16 to June 20, 2019.